Wow! Busy with implementing new booking engine and busy peak season at the beach all summer. Haven't had a chance to blog! Let's try this again now. 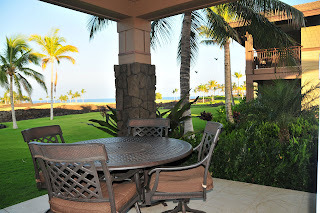 I have some excellent properties now available in Hawaii for fall travel. Be sure to visit my website for more details. Join our 'Friends and Family' to receive more specials just for you! This beautiful 3 bedroom ocean view property is our featured property this week!